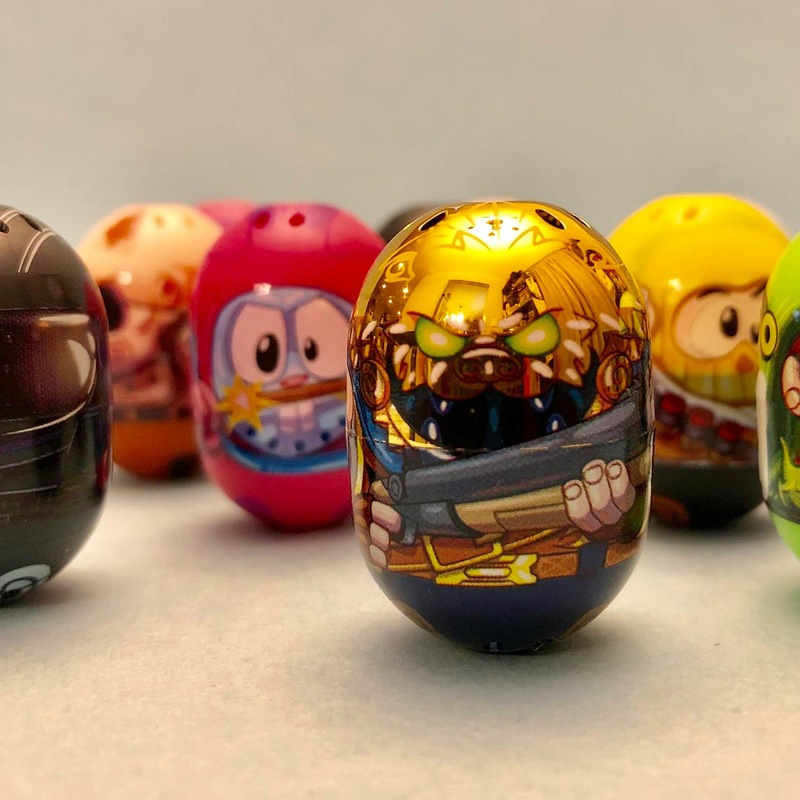 Tubey Toys Review: Video and Review: FORTNITE Mighty Beanz by Moose Toys Flip, Roll, and Spin Your Favorite FORTNITE Characters! Welcome to the Tubey Toys Toy Review blog! We're happy to have you! Here you will find honest children's product reviews (mainly toys! ), and stories of our parenting adventures! Read about the coolest toys that your kids want, and be sure to enter lots of fun give aways! We are Disney fanatics, toy collectors, but most importantly, parents! Sure, there are tons of blogs like ours on the web, but not like Tubey Toys! 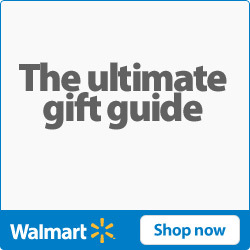 Tubey Toys' Holiday Toys 2018 Gift Guide - Best Toys to Buy! Video and Review: FORTNITE Mighty Beanz by Moose Toys Flip, Roll, and Spin Your Favorite FORTNITE Characters! I thought it would be funny to plant the influencer box of Fortnite Mighty Beanz that Moose Toys sent us in game! Let me know what you think of our video. I don't normally post game play online, so this account is a new account. If you want to watch me play my game, let me know in the comments below. Fortnite Mighty Beanz are cool, new collectible toys that you can flip, roll, topple, and wobble across any surface, and they never fall down! 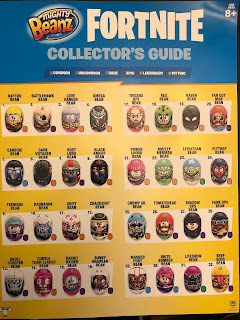 Now with 35 new Fortnite Mighty Beanz to collect, you can take your favorite characters with you from this epic game in the palm of your hand! You can buy a quad pack for just $4.99 at Target, and you may even get super lucky and find the golden, legendary bean featuring one of three characters. 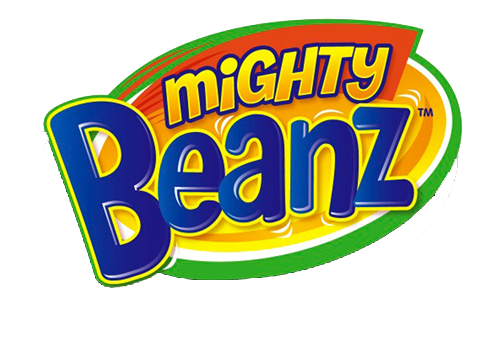 The Fortnite Mighty Beanz are for ages eight and up. 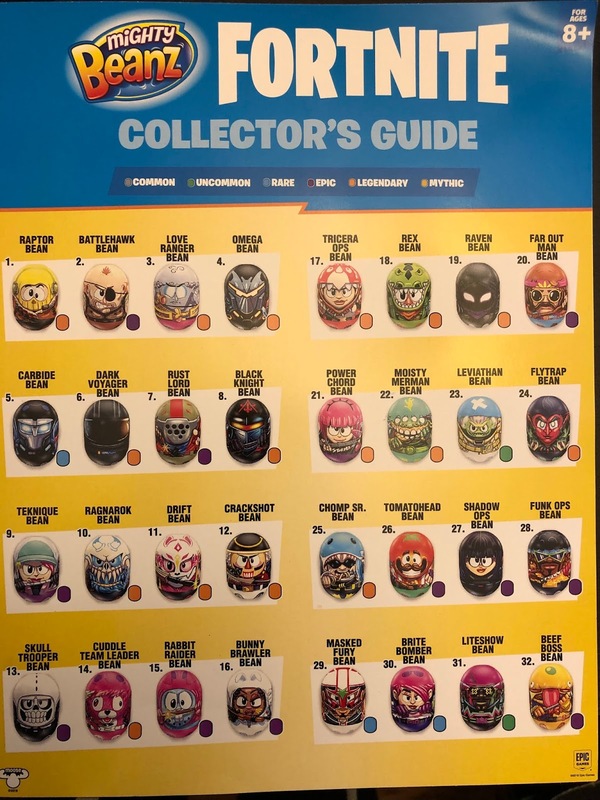 Each Fortnite Mighty Beanz has its own points system, and the higher your point value the better chances you will different games. We love Mighty Beanz and we are no strangers to these awesome mini collectibles. If you’re not into Fortnite, and want to play Mighty Beanz, then you can get series one Mighty Beanz featuring funny characters by Moose Toys, and there is even the chance to get the influencer beans featuring Fizzy Toy Show, Sandaroo Kids, Toys Review Toys, CookieSwirlC, and Squirrel Stampede. With over 140 beanz to collect in all, and your kiddos will flip out on how much fun they will be having with these wacky little 1" beans! 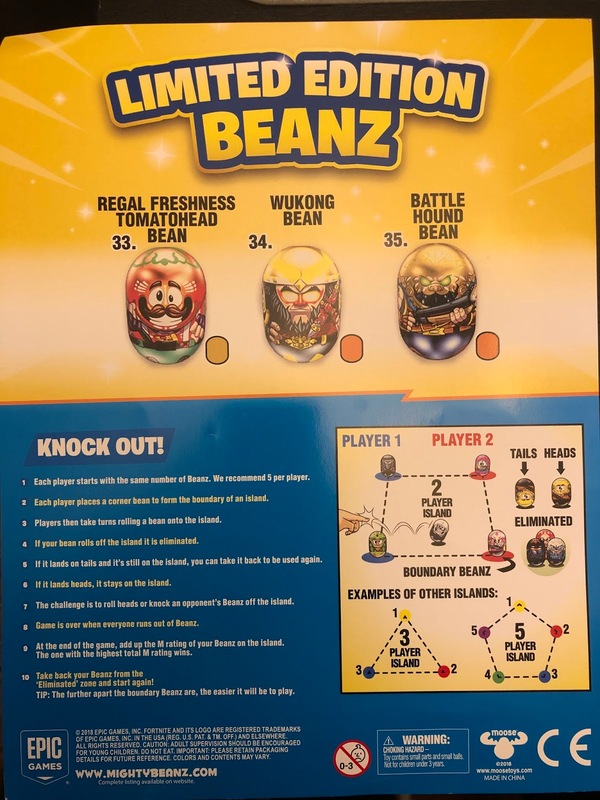 Mighty Beanz and the Fortnite Mighty Beanz would make great Valentine’s Day gifts or even Easter basket stuffers. 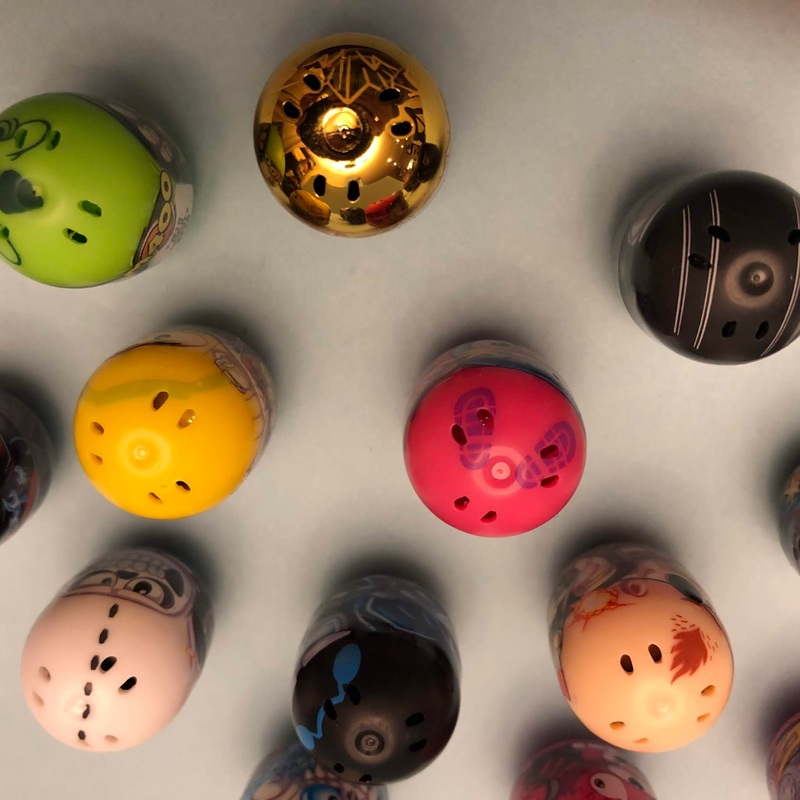 Race your beanz, roll ‘em, flip ‘em, and more! Each beanz capsule is just $2.99 and they include two different Might Beanz. Pair the Mighty Beanz will the flip track for just $7.99. Also, fun to unbox are the Mighty Beanz Slam Packs for $9.99. For ages five and up! Thank you so much to Moose Toys for sending this amazing collection of FORTNITE Mighty Beanz for our review! Are your toys sold at target or Walmart? My grandaughter would love your toys. Video and Toy Review: LOL Surprise Bows, Gudetama, Hello Kitty, JoJo Siwa Perfect Easter Gifts!